It is with deep sadness and heavy hearts that we announce the passing of our beloved mother, grandmother, sister, aunt, and friend. Catalina Morales, age 86 of Deming passed Saturday March 30th, after 20+ years of battling cancer. Visitation will be this Friday, April 5, 2019 from 4 to 6 at Baca’s Funeral Chapel where a prayer vigil will begin at 6 o’clock. Mass of Christian Burial will be Saturday April 6, 2019 at 10 o’clock in the morning at St. Ann Catholic Church with Fr. Manuel F. Ibarra, Pastor officiating. Concluding services and interment will follow at Mt. View Cemetery. She was born July 2, 1932 in Deming NM to Luis Flores and Margarita Macias-Flores. 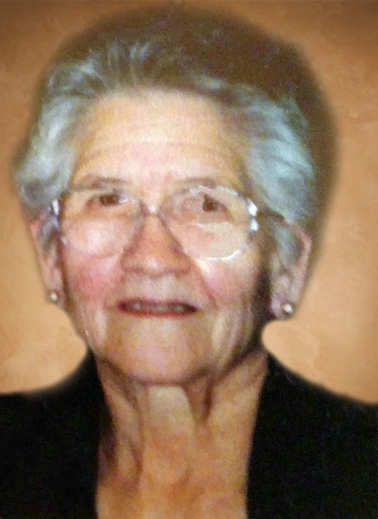 Catalina was a lifelong member of St. Ann Catholic Church and was a member of the League of Sacred Heart. She will be remembered for her volunteer work at the St. Ann’s Catholic Church and the Deming Luna Mimbres Museum. Catalina is preceded in death by her parents, four siblings, one daughter Yvonne Chavez, one grandchild, Michael Anthony Garcia and her husband Willie Morales. Left to cherish her memory are her sisters Socorro Ponce, Dolores Duran, children Julie Luna (Jr.), Helen Morales, Yolanda Morales, Willie Morales Jr., Marty Garcia (Albert), Dodo Teague (Leon). Eight grandchildren, eleven great-grandchildren, and one great-great-grandson. Pallbearers will be Tom Luna, Cam Teague, Leon Teague, Chevy Teague, Marc Garcia, Tiagunia Hayes and Nick Brook.